Dress for Kit inspired by illustration in the book “Kit’s Surprise: A Christmas Story”. 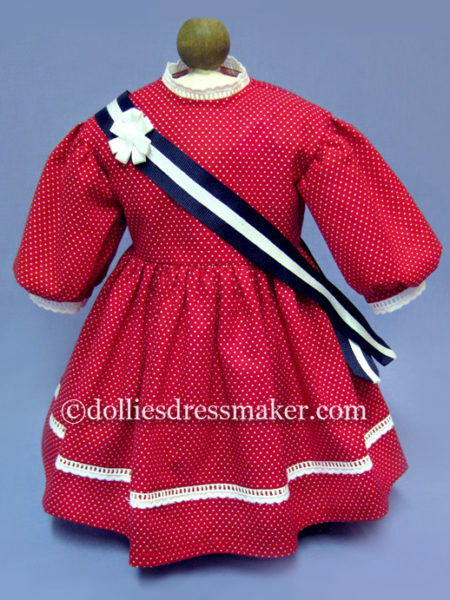 I am a return buyer from Dollies Dressmaker. I purchased Kit’s Gold Dress recently and really like it. 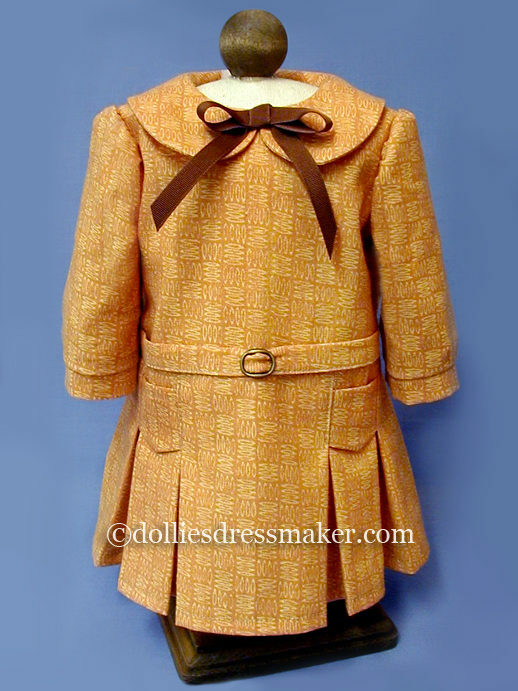 It is a great reproduction of a dress Kit often wore in her series illustrations. 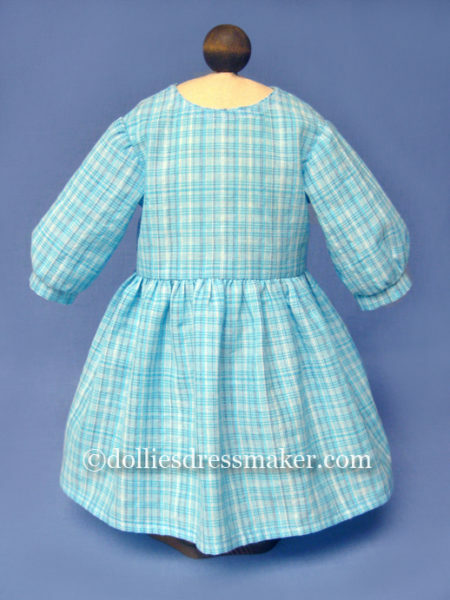 I truly appreciate it when seamstresses take the time to reproduce dresses seen in books, but never produced by American Girl. I imagine it is much more difficult to reproduce something from an illustration than to just pull together a cute outfit for a particular doll. It takes so much time to find just the right fabric and trimmings. Thank You Dollies Dressmaker for making this awesome dress! So cute! Excellent reproduction of a book illustration dress not sold in stores. Perfect for dressing up Kit while reading her story with your daughter. As always, beautifully done! 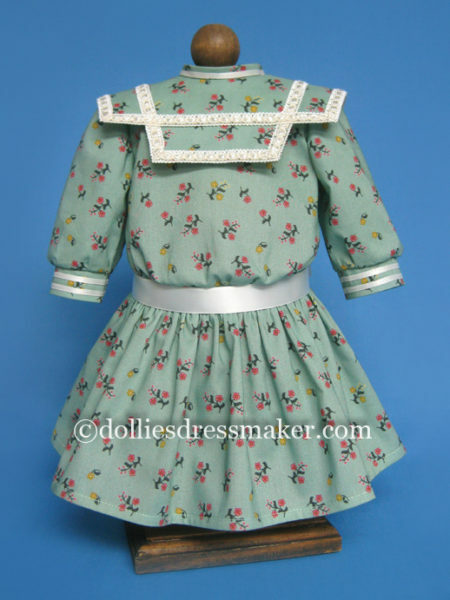 Another stellar dress from Dollies Dressmaker! As always the attention to detail is top notch. Thank you a million times over for producing this dress. I can’t wait to dress my Kit in it for a few holiday scenes later on this year! I am so amazed at how Cindy found material that perfectly matches AG’s illustration!! It is an amazing dress and a perfect addition to any Kit Collection!! Beautiful sewing and quality that can’t be beat!! I highly recommend this dress! Fabulous recreation by Cindy of one of Kit’s dresses not made by PC or AG. As usual, the stitching is flawless, and the design is spot on. The material is lovely, and the details are so pretty, from the pleating to the belt, cuffs, and bow. The color is perfect for the Kit doll, and a great addition to her wardrobe. Another great recreation of an illustrated outfit not made by AG. The fabric is perfect for this outfit, and it’s even cuter on Kit. 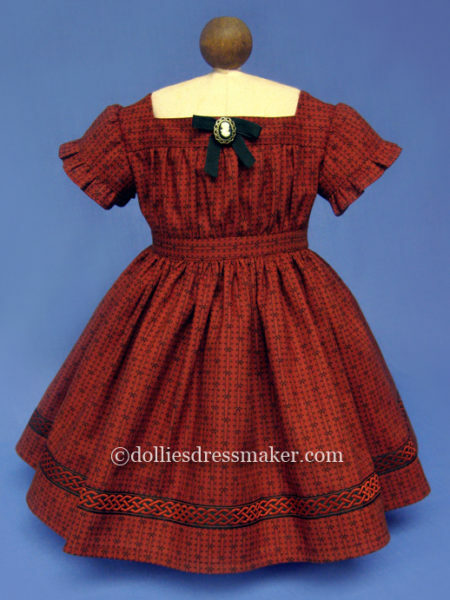 Beautifully made and more era-appropriate than many of the newer “cheerful” fabrics. I feel very lucky to have this one!